I am so incredibly excited! About what, you ask? The 2012 Oregon Pinot Noirs, a vintage the Wine Spectator called, “Ideal conditions produced generous wines; not over the top.” The magazine rated the vintage 92-95 points. I am on a mission to taste 50 or more of the current releases from some of the best wineries in the state. This process will take a couple of months. I will have a full report by the first of July. The following wineries are among my hit list: A to Z Wineworks, Adelsheim, Argyle, Chaehalem, Domaine Serene, Elk Cove, King Estate, Ponzi, Rainstorm, RouteStock and Seven Hills Winery. I have a few others that I will include as well. So what about recent vintages? Oregon is one of the wine world’s most marginal growing regions. Over the past four decades, Pinot Noir and Pinot Gris have been the stars, especially in the Willamette Valley. Even adding to the fun are the growers and vintners themselves. If any of you have ever spent quality time with these folks you will have learned that they can be cagey, cantankerous and collaborative. If you are not into it, they won’t even acknowledge your presence (I am only kidding here). But one thing that is undeniable is that the Oregon wine folks are super passionate about what they do. The result is: they live in a growing region that is reserve for the strongest souls in the wine biz. Potentially, the Willamette Valley can have some really difficult vintages. Hearts are anxious and spirits are strong as each harvest comes into view. I have tasted some 2010’s and 2011’s and there are so many very good wines. The 2011’s are by and large a bit leaner and reticent of recent years. As I begin to taste the 2012’s I am really liking them. The first few have come across a pleasingly plump, yet nicely balanced. Yes, this promises to be a vintage to remember. Seems those guys at the Wine Spectator are very much on target! 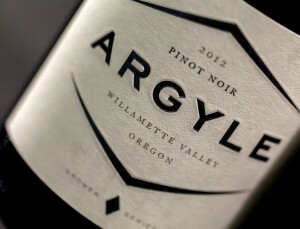 My current favorite for all to try is the 2012 Argyle. The wine is so pretty and ready to enjoy. This wine is a precursor of what is to come. Stay tuned, you may even be able to forget about Burgundy for a while… Well, maybe not. For the time being, 2012 Oregon Pinots will be the envy of the marketplace. By the way, May is Oregon Wine Month, wouldn’t this be a great way to celebrate?